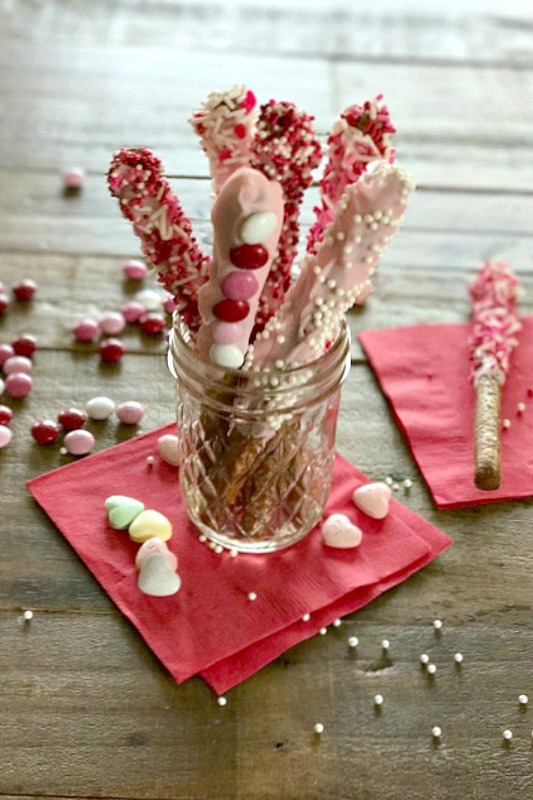 Valentine Dipped Pretzel Rods – These fun and simple treats are made with only a few ingredients and they come out looking beautiful and taste delicious. 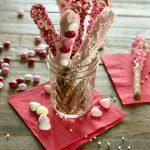 Show someone how special they are with a homemade Valentine treat. Enjoy! In a microwave safe deep bowl or glass measuring cup, melt candy melts according to package directions. Take one pretzel at a time and dip into melted chocolate. We went a little over halfway up. You may want to use a teaspoon or plastic spoon to help coat the pretzel. Gently shake off excess chocolate. 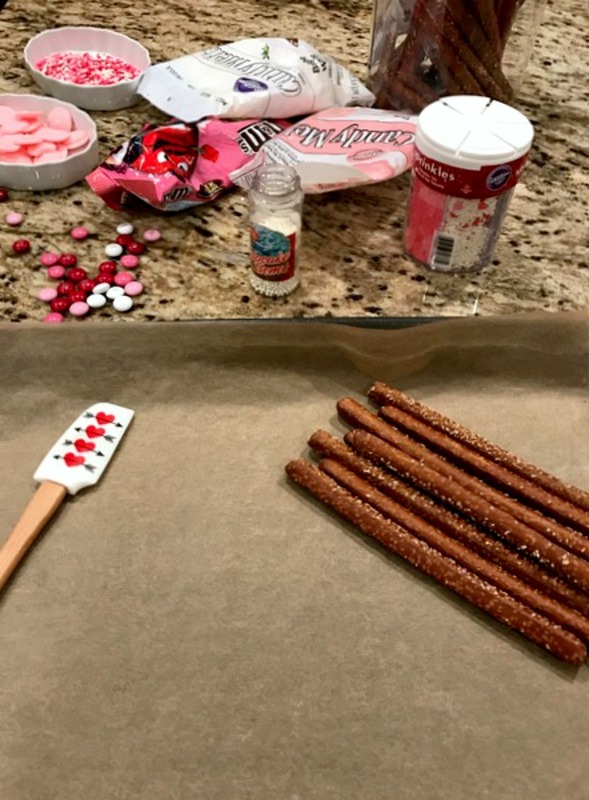 Place each coated pretzel on lined cookie sheet. When all are done, place in fridge for about 15 minutes. Take out and wrap up for gifts or for you and your family to enjoy. For a fun food craft to make with the kids, try this yummy sweet and salty treat. 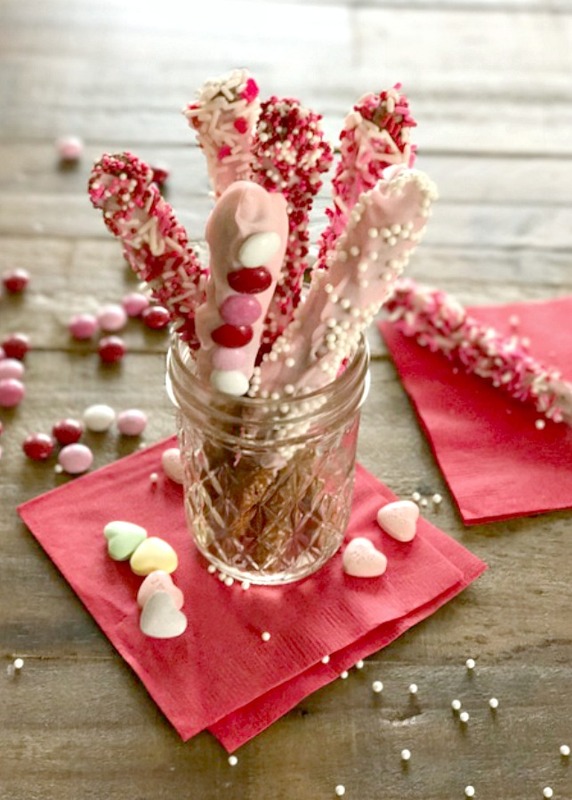 Valentine Dipped Pretzel Rods. They make great gifts too! Happy Valentine's Day! 2.In a microwave safe deep bowl or glass measuring cup, melt candy melts according to package directions. 3.Take one pretzel at a time and dip into melted chocolate. We went a little over halfway up. You may want to use a teaspoon or plastic spoon to help coat the pretzel. Gently shake off excess chocolate. 5.Place each coated pretzel on lined cookie sheet. When all are done, place in fridge for about 15 minutes. Take out and wrap up for gifts or for you and your family to enjoy. HAPPY VALENTINES DAY! !